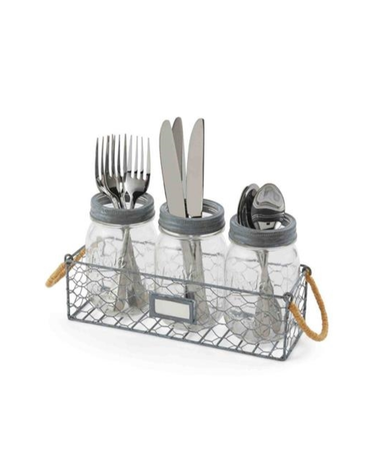 Keep your utensils organized with this chicken wire basket with twine wrapped handles and label tab holds three galvanized metal rimmed glass “Fresh" preserve jars. Adds a little rustic feel to your porch or deck. 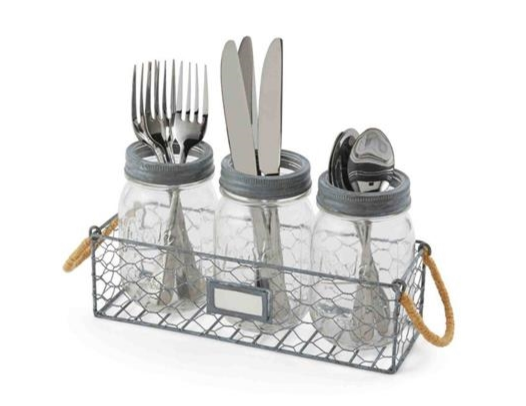 Includes the wire basket and thee canning jars. Size: caddy 4" x 10" | fresh jar 5" x 5 1/2"